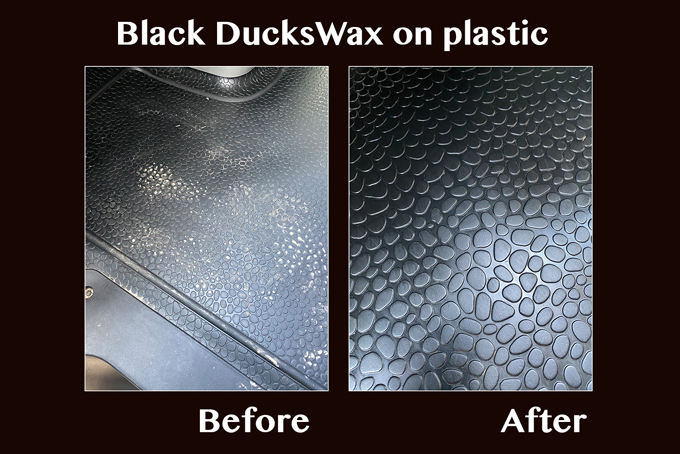 Original DucksWax, Black DucksWax & DucksWax leather cleaner. ✓...The original is translucent....Use it on any colour leather. 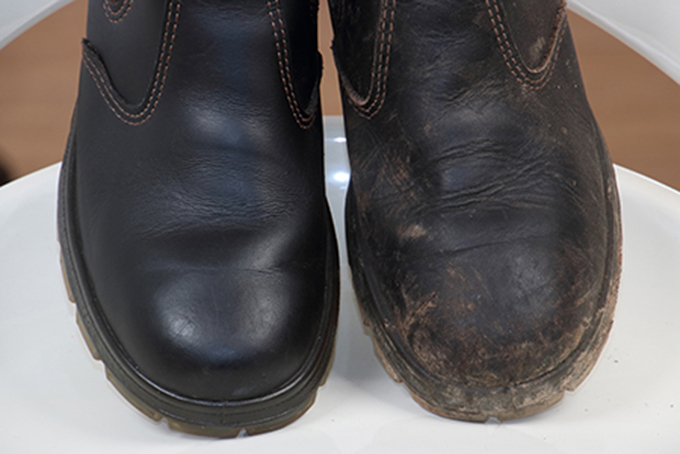 Use the black version to restore the colour of scratched and faded leather. 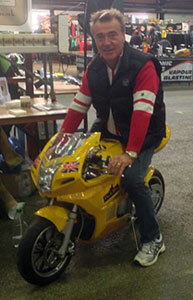 ✓...Original can be used on rubber, car & motorcycle plastics and chrome too! ✗...allow water to penetrate the leather, it simply beads up and runs off! Both versions will extend the life of your leather and wax cotton items. Leather Food. 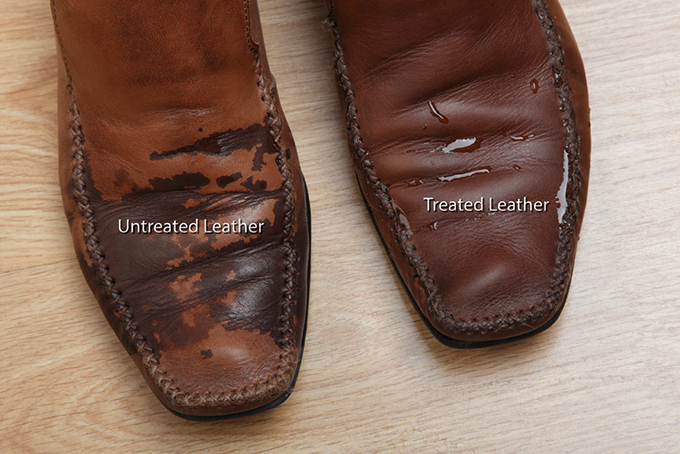 They will Moisturize, soften, restore & preserve you leather. Helping to waterproof your leather. Reduces water absorption, whereby water will form beads & run off. 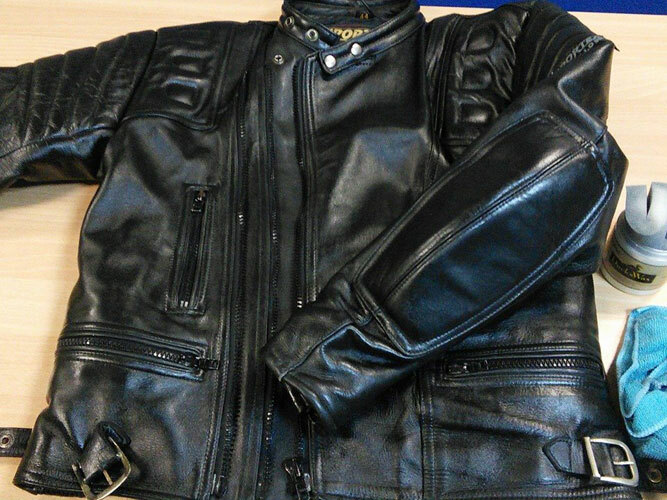 Works on wax cotton (Barbour/Belstaff type) jackets too! Both DucksWax products are 100% natural. Once applied and allowed to soak in, the surface is left grease free making DucksWax the perfect treatment for leather furniture, leather car seats, Leather Clothing and saddles & tack. It will not leave a sticky residue. 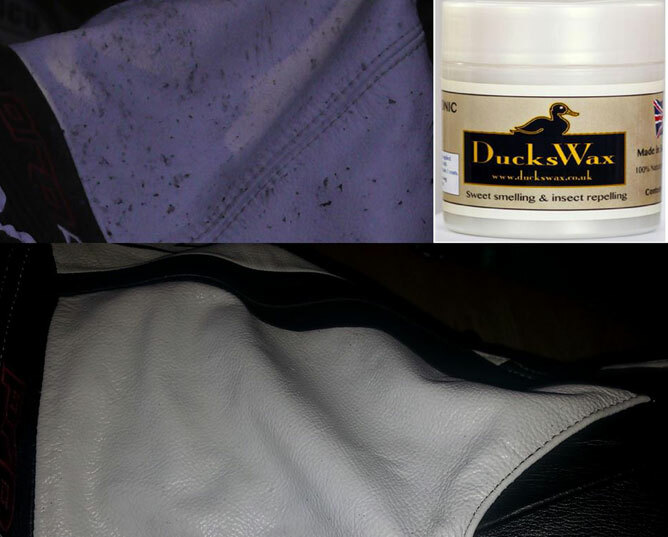 For all outdoor leathers DucksWax repels water and moisture and is a favorite amongst Motorcyclists, Horse riders, Golfers, Hikers and anybody working outdoors. Original DucksWax works incredibly well as a furniture wax. Use on untreated soft and hardwood, to give a lasting finish. Non waxy and will really enhance the grain. Gentle on leather. pH neutral. Silicone free. Comes in a 200gms bottle. 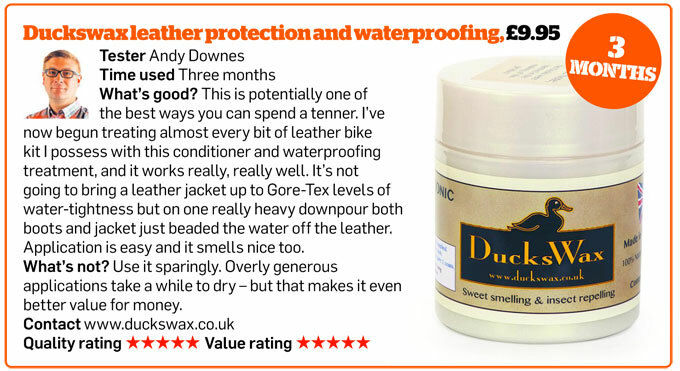 Use on dirty leather & allow to dry, before applying DucksWax. 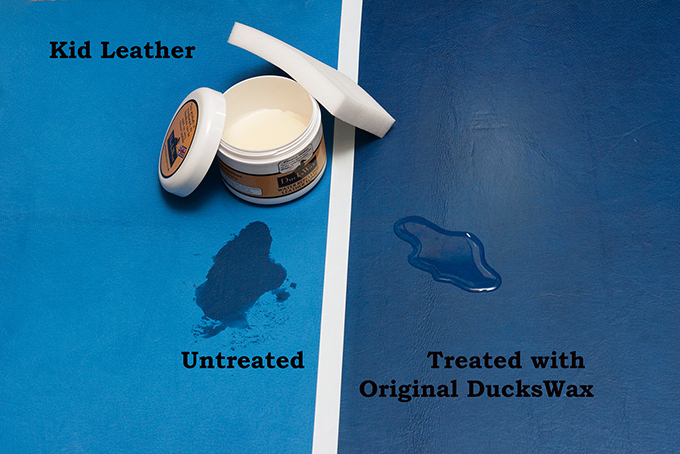 DucksWax contains NO solvents, silicon, paraffin, dyes, Teflon or bleaching agent.